When I made and posted my RIPmotion video a few weeks ago I was hoping I would get a handful of people to try it and maybe one or two nuggets of feedback that I would find helpful. Instead what I got was completely overwhelming. I spent several hours one night just compiling all of the interesting bits. I got all kinds of great personal testimony which both highlighted areas I needed to focus on as well as encouraged me that I was on the right path. I was also offered MANY good ideas from people for which I am very thankful. I assure you that I tried out a vast majority of them and have even implemented a few of the ones I found to improve the experience. Since then I've nearly completely rewritten RIPmotion and will have another demo, blog post and video very soon. Well, I don't find it to be upsetting at all or else I wouldn't even be showing anybody. That being said, you could say I know the lay of the land and was accustomed to avoiding colliding with anything. Fortunately many other people found it to on the good side of good as well, including some who consider themselves prone to sim-sickness, but it did still remain for others. The primary complaint there was with the way collisions worked, so that has been scrapped. Why put the tracking pucks on hips and not feet? While it's very likely possible for this to work by tracking your feet, it would definitely be harder. This is because feet can move in less constrained ways (open or closed stance while running, ability to kick and move around wildly) which means that just like tracking the head, there is a lot more noise to have to be filtered as opposed to using the hips. That being said, there are definite benefits to including feet for additional input (kicking things, virtual leg representation, etc). Are you going to release the code as an Asset? I would like to put it on the Asset Store, but really don't think it should be implemented in anything in it's current state. It's more of a proof of concept at the moment. Once everyone is able to get additional tracked objects, whatever they may be, I will definitely be releasing this in one form or another. Previously you could by turning the controller around, but in the updated version it will be built into the controls. Ability to detect this wasn't too accurate before, but this is another area I focused on improving. Isn't this kind of similar to WiiFit running? 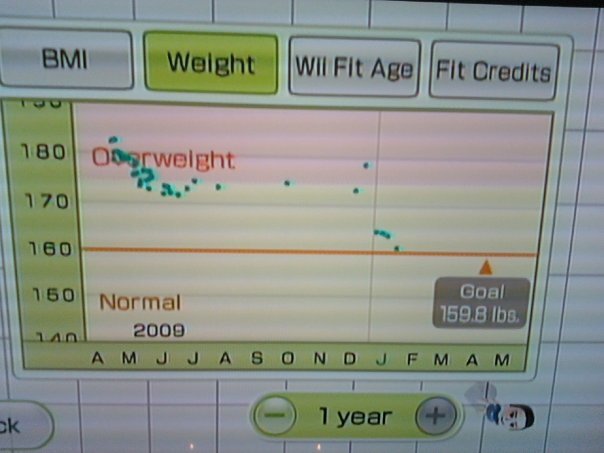 Yes, I'm actually quite familiar with WiiFit and would consider that one of my inspirations for this idea. Beyond everything RIPmotion, I also got the opportunity to virtually meet and have all kinds of interesting discussions with some great people. That sort of camaraderie and openness is what really make this community amazing. In doing so, I've compiled some links to other people's interesting locomotion projects, talks and papers that I strongly suggest you check out. Anyway, as already stated, thanks so much for the interest so far. I am very excited to keep trying to progress toward a world where we can comfortably move within VR. P.S. I'd really like it if people stopped saying this is a much better solution than teleportation, because it's not. It's solving a different problem, which is trying to replicate real life locomotion. Just because teleportation is not a perfect simulation of reality doesn't mean it doesn't hold a worthwhile position in virtual reality. I would prefer to teleport in "real" life for sure so certainly would like the opportunity to use it while in VR. In fact, there's no reason the two methods can't be used in conjunctions for different purposes within the same experience.